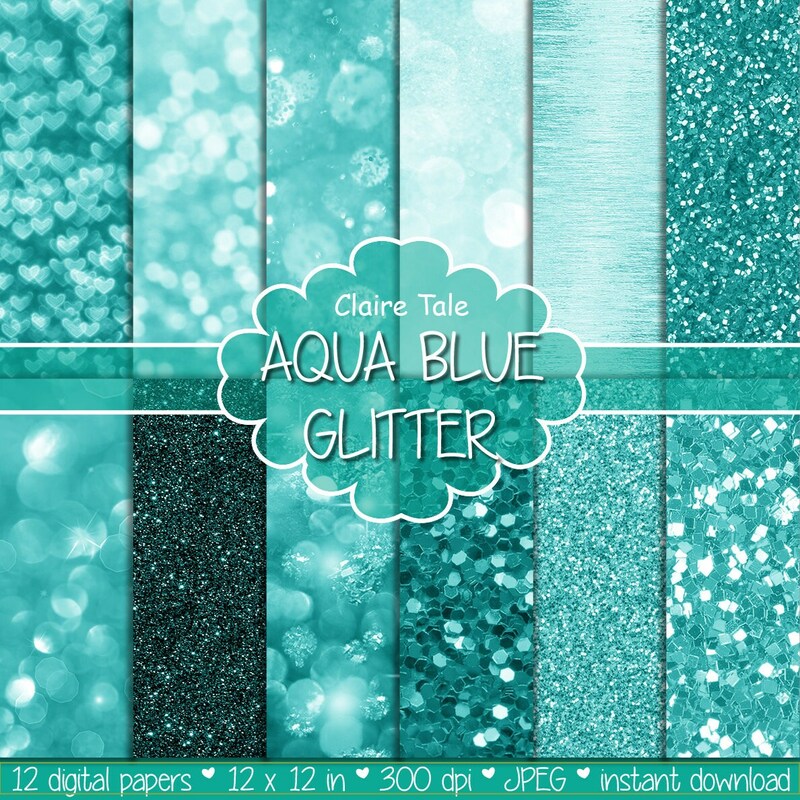 12 cyan digital papers: "AQUA BOKEH & GLITTER" with cyan aqua blue/green glitter and bokeh background for photographers and scrapbooking. Perfect for scrapbooking, invitations, announcements, anniversaries, birthdays, party themes, stationary and paper crafts. Ready for immediate print and digital use. This will be lots of fun for my granddaughters! great graphics and colors are spot on! LOVE!!! SO PRETTY!!! THANK YOU!